So here I will explain how to replace a model in the game. Which is the basic side of importing models and we will go over some important things you must know. While I import and replace a model in the game. Some important things to know before we continue the guide. 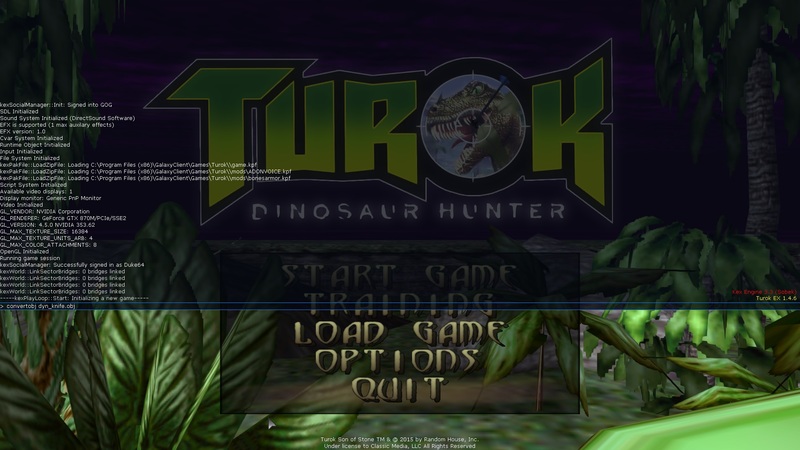 When we export Turok’s models from the game they are either upside down, turned, or not in view of the player so you need to locate the position. Otherwise you won’t see your model when you import it. I think the animations are partly responsible for this. I noticed that some of the animations flip the models upright into the correct position itself. But animations are a hole different subject that we can’t go over just yet. Animations can’t be edited yet without an editors tool so models you put into the game will lose the animations for the nodes unfortunately. 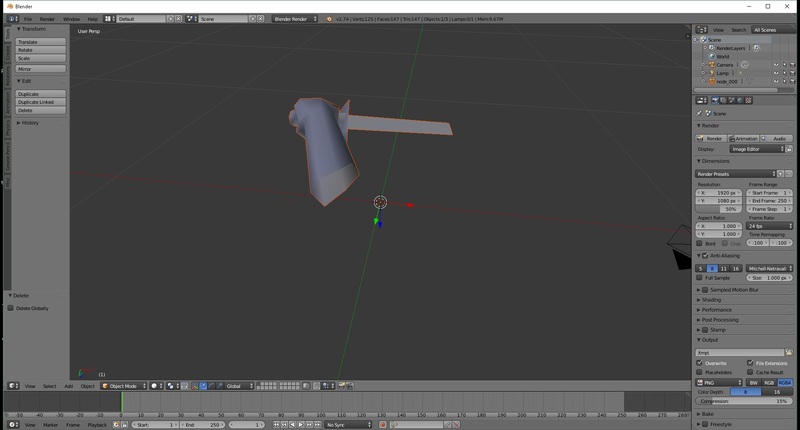 Here is an example of what happens when we cant edit the anims for the nodes on our models. Notice how his hand and the pump on the shotgun no longer move when reloading since I replaced the shotgun quickly. Missing anims on the nodes or I should say we can’t link them together just yet. The knife however only has one node anyway. Locating the models positions can be tedious but there are tricks to shorten the process. But again this is a hole different subject that I don’t want to go over in this guide. I will save that for another. Here is an example of what happens when you don’t have the model in the correct position. 5.) Now open that model file with your choice of model program. 7.) Export the model as obj. Now wherever you exported it to, you will see it also saves an mtl file. That is the material file for it. 8.) Edit the .mtl file. 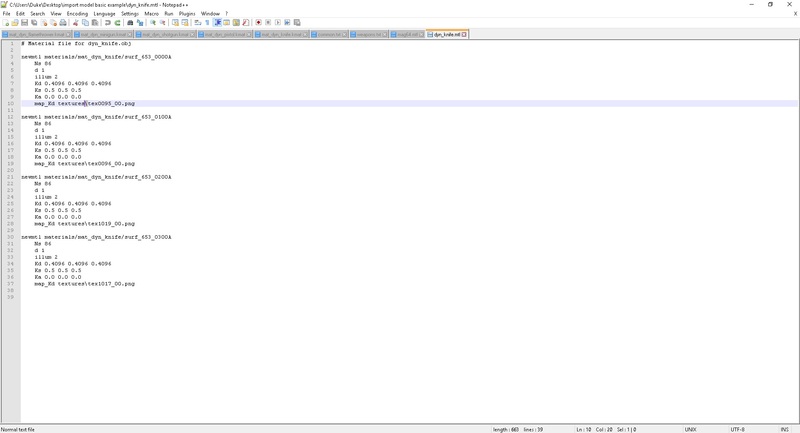 Right click it and choose to open it with your choice of notepad/text editor. 9.) Once you open the .mtl file if you look closely you will realize that some of the slashes (/) are backwards in the “map_Kd” which defines the textures directory for each piece of the model. You need to replace all the backward slashes seen like this \ back into the correct way like this /. If you correctly edited the mtl file before copying pasting the renamed copy then both should be correct and we can move on. Just like this, I am in my GOG directory of course it works for Steam also either way. Here is what it looks like if you correctly packaged your model into a bin file. 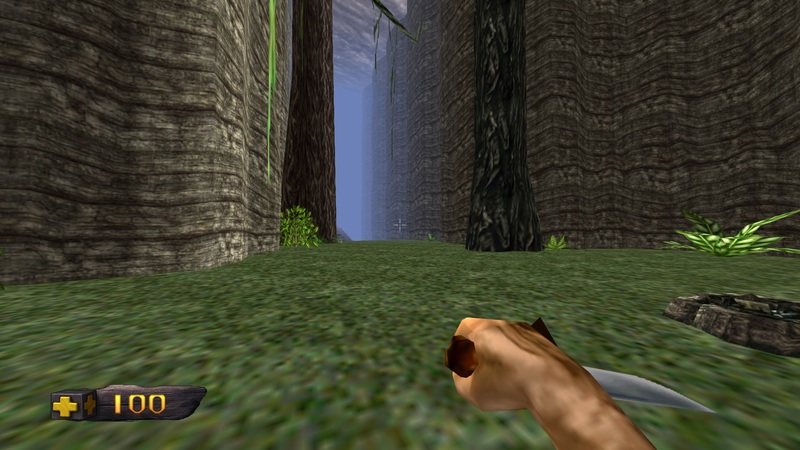 The action takes place in the top left corner of the video. The game will be parsing the obj lines and checking the faces of the model. 14.) 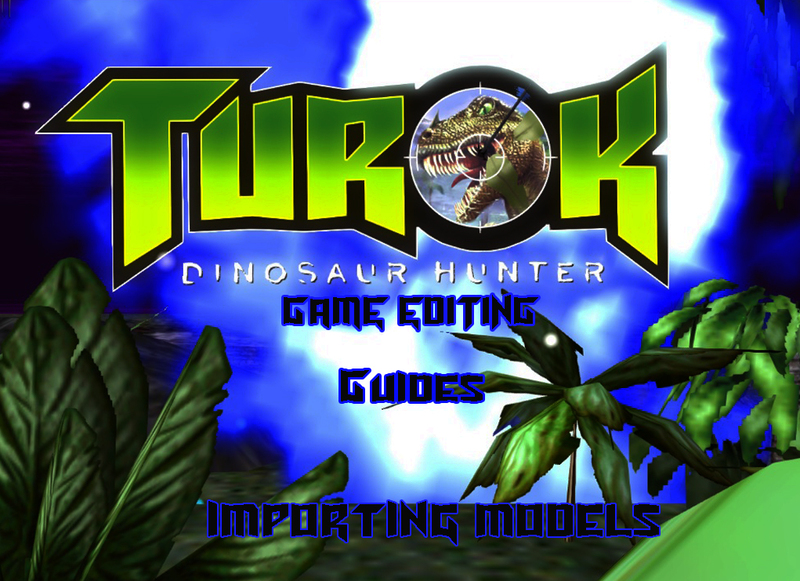 Exit the game and now in your Turok folder you should have a .bin file format of your model which should be game ready if you did all steps above correctly. 15.) Place your models bin file into you mods folder or however you run your mods.